Meet the providers who are leading dermatology into the digital age. SkyMD is powered by an experienced network of top-rated dermatologists with practices across the United States. Our experts in medical and cosmetic dermatology come from a diverse range of backgrounds. Many have served as clinical innovators, professors, research pioneers, and skincare product developers. All are leaders in their speciality. 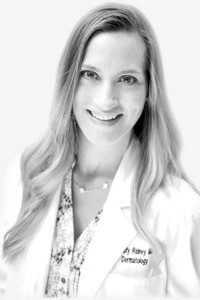 With almost a decade of experience in medical and cosmetic dermatology, Dr. Rainey is proud to run her own practice, as it enables her to provide the highest quality care and treatments to her patients. “I enjoy having the independence and flexibility to tailor my practice to my needs and the needs of my patients,” she reflects. "I enjoy being able to make patients both look and feel better. My aim is to be able to increase their quality of life." SkyMD gives Dr. Rainey the resources she needs to effectively diagnose and treat a wide range of conditions. From customized diagnosis templates to seamless e-prescribing, online dermatology enables physicians like Dr. Rainey to focus on what matters most - excellent patient care. “I am impressed with the ease of jumping on a computer or mobile device to complete the visits in a thorough, quick, and efficient manner,” Rainey says. Rapaport works hard to build trust and mutual understanding with each one of her patients. “When a patient sends in their spouse or father or child to see me, it's the ultimate vote of confidence.” As someone who places incredible value on the experience of her patients, she is honored to have earned their trust. "I have seen so many more young patients - 'millennials' - coming in for full body skin exams because they are taking better care of themselves than previous generations were," says Dr. Rapaport. She is optimistic that that the increased prevalence of skin checks will transform the diagnosis and treatment of skin cancers. "I imagine that we will discover more skin cancers since so many more people are coming in - and in turn, will cure these cancers earlier." Dr. Rapaport says that online dermatology is crucial to building effective, lasting relationships with this new generation of patients. "Many more young people are getting medical care virtually, as they are so used to instant responses to their questions and want instant access to help." Before SkyMD, Rapaport wasn't sure how her practice was going to fully meet the needs of these patients. "But now, with SkyMD, it is possible! They get help with dermatologic concerns without the numerous barriers of actually coming into the office." Dr. Sigmon reflects on how digital innovation has revolutionized the field of dermatology. “I can't imagine practicing without the technologies we have - electronic health records, electronic prescribing, and now telemedicine,” he says. “All of these technological advances make us more efficient at providing the best care possible.” For his practice, staying ahead of the curve on technology has had tangible benefits in patient care. Despite clinical and technological advances, practicing dermatology today isn’t without its challenges. “Getting my patients access to the best medications at the most affordable prices for their skin conditions can be a challenge,” cites Sigmon as an example. Yet it’s a challenge he embraces, as affordability of treatments is crucial to ensuring patients receive the care they need. When asked why SkyMD and online dermatology are an asset to his patients, Sigmon’s answers are numerous. “Interacting with patients post-operatively, reconnecting with patients who couldn't make an in-office appointment fit their work schedule, completing medication refills, and treating patients while they're out of town have been huge benefits of this technology,” he says. 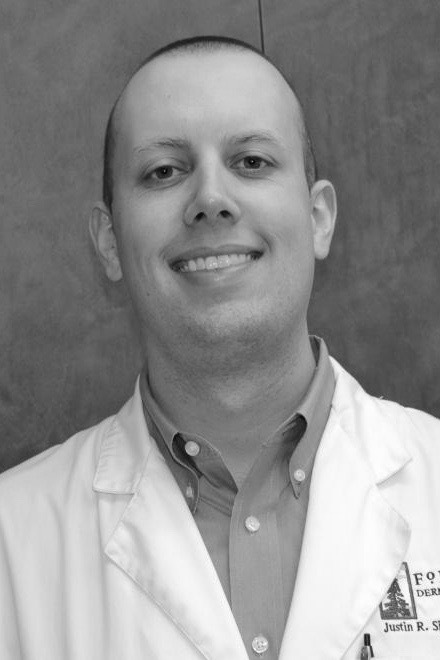 “It's also been great with college students who need follow up, but are too far away to come into the office.” Sigmon says SkyMD is an asset to his practice because of the wide range of conditions that can be diagnosed and treated online.